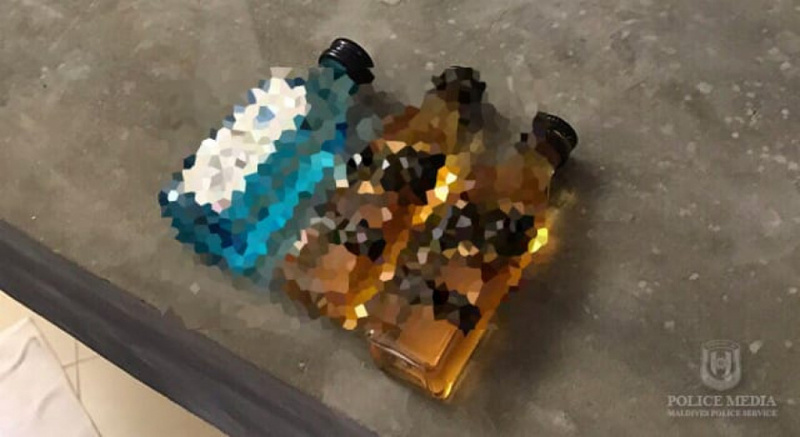 Maldives Police Service says the authority found three bottles of liquor inside the Club Maldives (Casa Mia Maldives) – the guesthouse in A. A. Mathiveri damaged in a fire on Sunday, April 7. MPS says officers arrived at the scene of the fire at 9:45 pm, and were evacuating people from the building when they were tipped off to presence of liquor bottles inside one of the rooms in the guesthouse. Officers at the scene searched the room and found three liquor bottles, reports MPS. The authority reports the case is under investigation but that no arrests have been made yet. 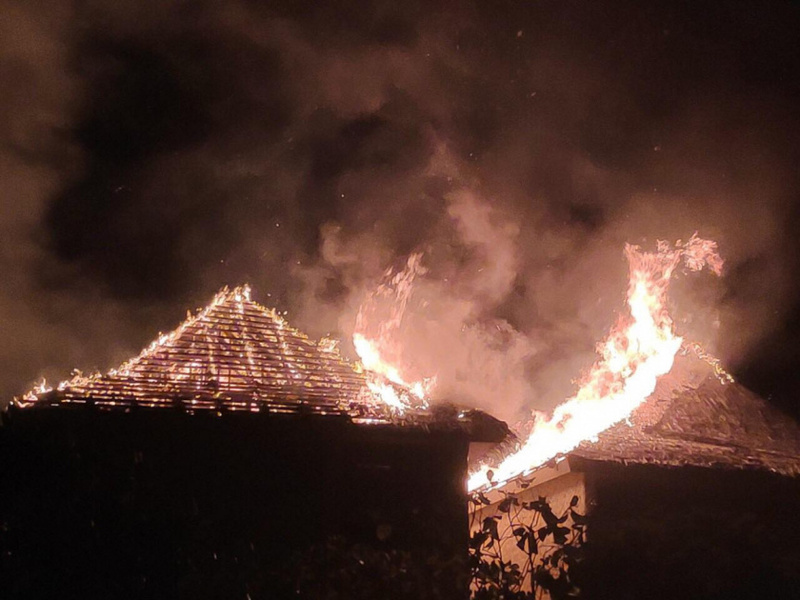 The fire has caused extensive damage to the guesthouse, and was contained through the joint effort of the civil fire team and locals from Mathiveri. The guesthouse was recently acquired by MP-elect of the Kaashidhoo Constituency, Abdulla Jabir. He alleges the fire was an act of arson and has filed a report with the police based on the allegation.